to enable our 68 students to live comfortably and healthily to better pursue their studies. The school is in progress with the construction of a dormitory. The latter should be equipped to be able to provide accommodation for the pupils. The Secondary School of Shangi opened its doors in September 1982 with 74 pupils. It is a free subsidized school under the leadership of the Sisters of penance of the congregation of Saint Francis of Assisi. February 2008, while 564 girls (all residents) being present, the school was completely destroyed by earthquakes. The pupils were rushed to be transferred in various institutions across the country. All classrooms, dormitories, multi-purpose hall and refectory were destroyed. Also, there has been heavy damage to material, beds, tables and chairs, etc. In January 2009 we took off again. We could welcome 250 students in the least damaged buildings. The Ministry of Education took over the reconstruction of the classrooms, the multi-purpose hall, the administrative building, the dining room, kitchen and two dormitories. The school itself could build a dormitory for an amount of 24 000 000 RF, moreover, there was made use of recuperable material of the destroyed buildings. The work to the dormitory is in the final phase. There is reception, by use of bunk beds, for 68 pupils. The major difficulty for us is the equipment of the dormitory. Our school performs more than adequately in the district of Nyamasheke and even at the national level. It is thanks to the quality of its education that many parents, in spite of our capacity, express the wish their children to send them to our school. But the demand is much greater than the supply. This school year, we have 581 pupils, i.e. 17 more than in 2008. In 2013 we expect to arrive at 650 pupils. The project was send in last year by the Secondary School St. Franciscus in Shangi. 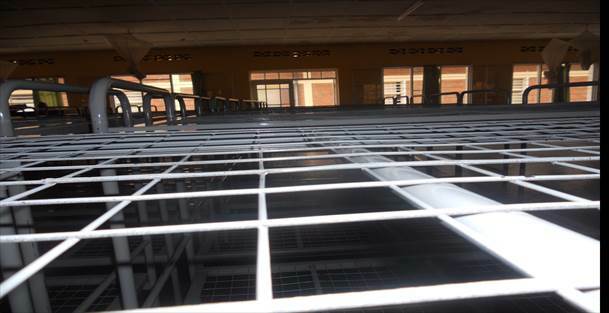 The school did not have the financial means to buy beds for a big amount of students. Some girls shared a bed and on top of that a new dormitory was build with an insufficient number of beds while we want to help a bigger amount of Rwandese children to continue their study. The gift came in on July 9th 2013 and till today we try to find the right material. We start with sending you a picture and the facture of the beds we have purchased. As soon as possible we provide you with the full reckoning of the used funds. We purchased 34 bunk beds, used by 68 students. 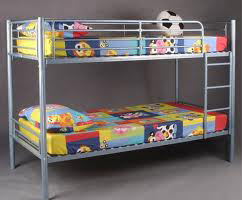 Each bunk bed costs 173.156 RwFr, what means a total cost of 6.947.019 RwFr for 34 beds, without transport costs. The beds were delivered with minimum damage. Now and then one breaks down but we’ll give i tour best to keep them well intact. Our concern is now to find a solution to be able to buy other beds as the old ones, purchased in 1982 when starting our school need to be replaced. They’re far from comfortable to our students. See also 'Actions Klein Seminarie Hoogstraten'. Clic here. Clic here for the album 'visit summer 2013'. The last report included the purchasing of 34 bunk beds for 68 students. The price for this was 6.947.019 RwFr; other necessities you can find in the table below. Today we send you the receipts fora n amount of 1.152.083 RwFr. This budget is used for the purchasing of 68 mattresses for 68 students. Other expenses you can find in the table. The only problem is the extremely slow connection, slowin down communication.Often there is no access to the internet.